Bente Knoll has a background and long-time experience in landscape, spatial and transport planning, mobility research, environmental sciences and engineering, sustainable development, gender equality as well as systemic communication and social media. In addition to her consulting assignments, she works as a lecturer at the Vienna University of Technology, the technical and engineering faculty of the University in Linz – Upper Austria as well as at the University for Applied Sciences in Vienna. She has various teaching assignments, holds basic and advanced lectures as well as seminars in Gender Studies and Engineering. In the year 2010 she published a basic textbook on this topic together with Brigitte Ratzer. Since establishing her company, Dr. Bente Knoll as founder and managing director has managed over 40 projects. She took part in over 15 national and international project consortiums. 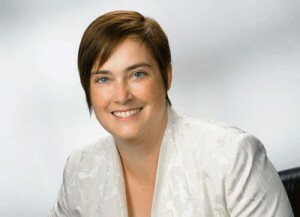 Bente Knoll is a highly qualified project manager, social and gender expert. In all her projects, she has fulfilled beside of project management tasks alongside several key expert positions. Master’s Degree in Landscape Planning (University of Natural Resources and Life Sciences, Vienna) and well-trained kindergarten teacher.